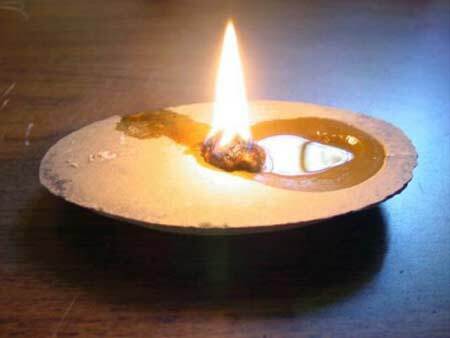 From time to time, we need light in a wilderness living situation, whether it be candles, torches, or whatever. 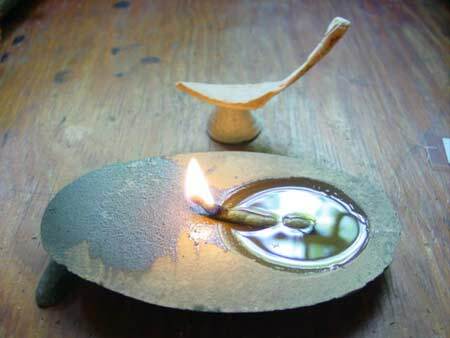 Photo by Storm Stone oil/fat lamp with a pinch of cattail (Typha sp.) seed fluff for a wick. Photo by Storm Stone lamp with a Rose Campion leaf as a wick. 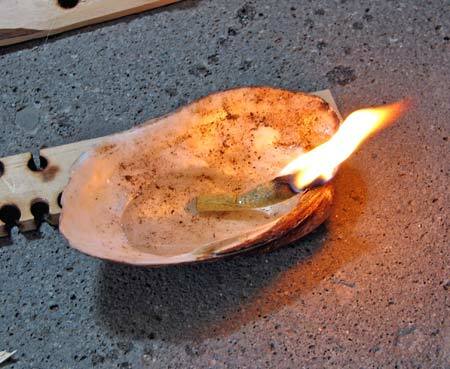 The snuffer (used to put out the candle) is a piece of turtle shell glued (hide glue--I use it for everything!) 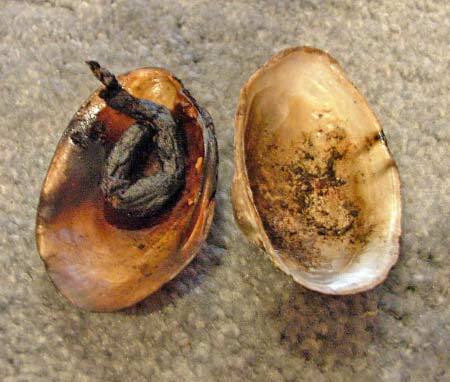 to a Limpet shell. 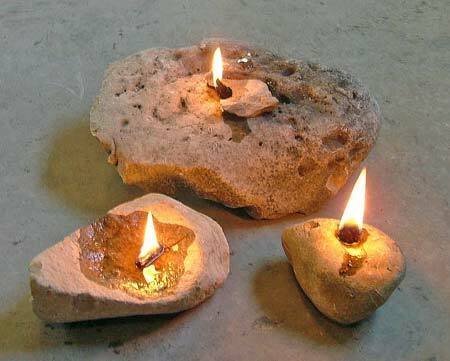 Here are some of my bush pine candles -- they're easy to make and work well. 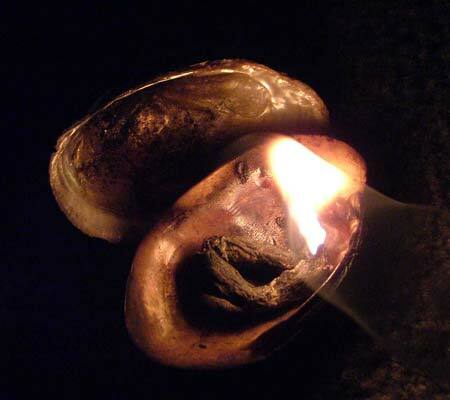 Lamp made from a shell filled with oil, using a wick made from Mullein leaves. Wicks are necessary for lamps to work. 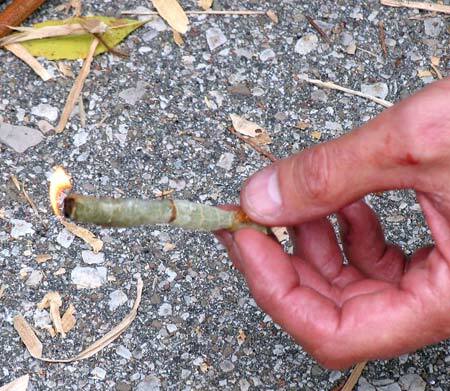 This photo shows a wick made from the pith of Mullein. 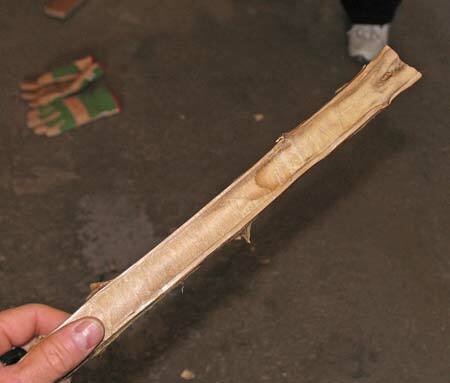 This is a cross-section of a Mullein stalk, showing the pith in the center. 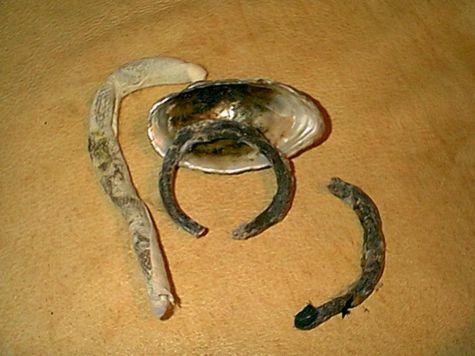 Wick made from Mullein pith. P.S. 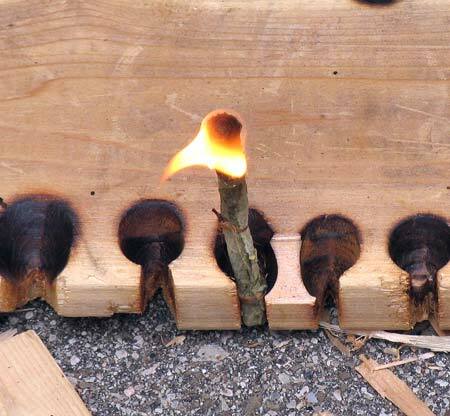 This is not where you would use a wick - this photo is simply to illustrate the wick burning.